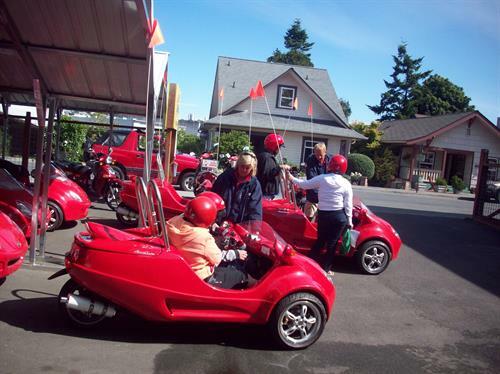 Explore San Juan Island at your leisure with a moped, Scootcar or convertible SUV from Susie's Mopeds. 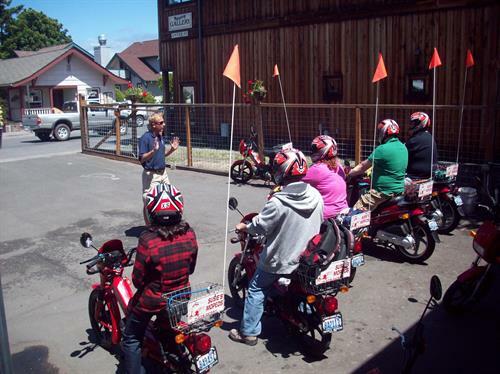 Let our professional and friendly staff help plan your island adventure and get you on your way. 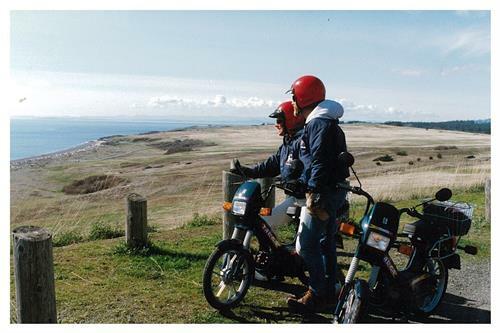 Pack your lunches and enjoy the spectacular scenery of a full island tour, approximately 48 miles or just head off to a specific location, like the Whale Watching Park at Lime Kiln Point State Park. Hourly and daily rates available. Two convenient locations at Friday Harbor and Roche Harbor. You are off the ferry and on your way! 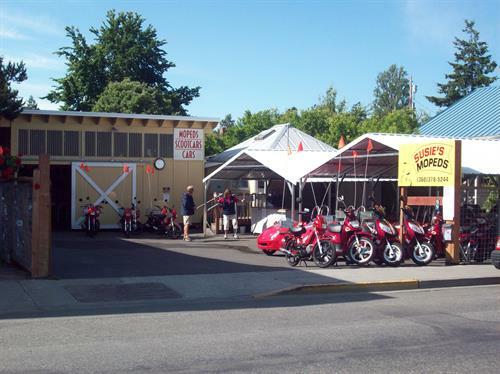 Located two blocks from ferry landing in Friday Harbor at 125 Nichols Street.